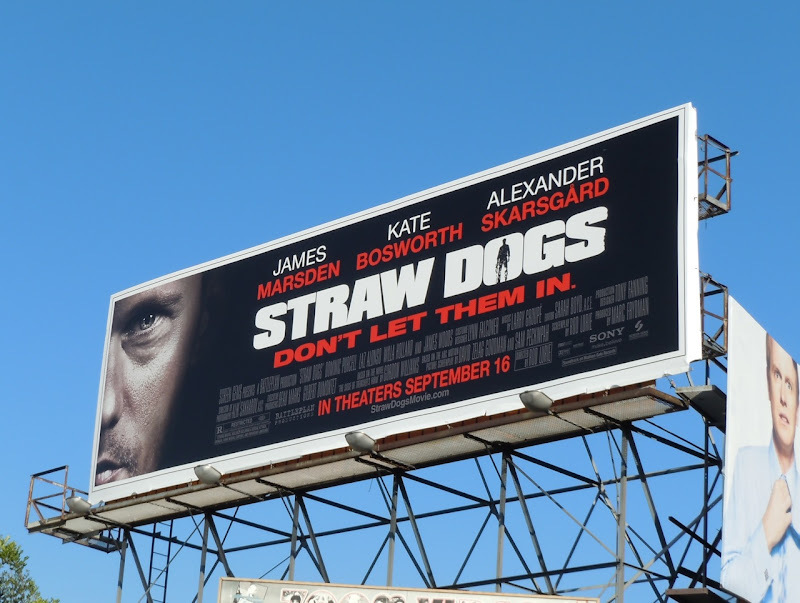 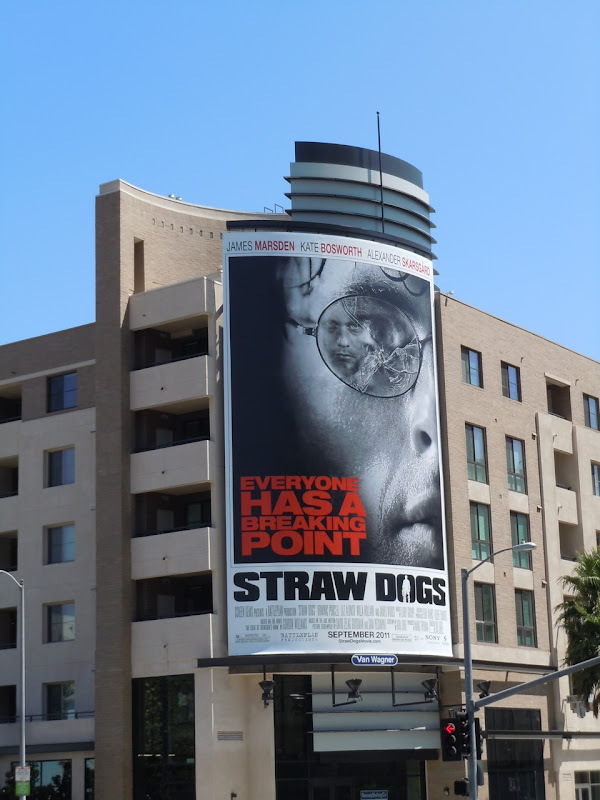 Fans of James Marsden and Alexander Skarsgard are in for a treat with these atmospheric billboards for their new movie, Straw Dogs. 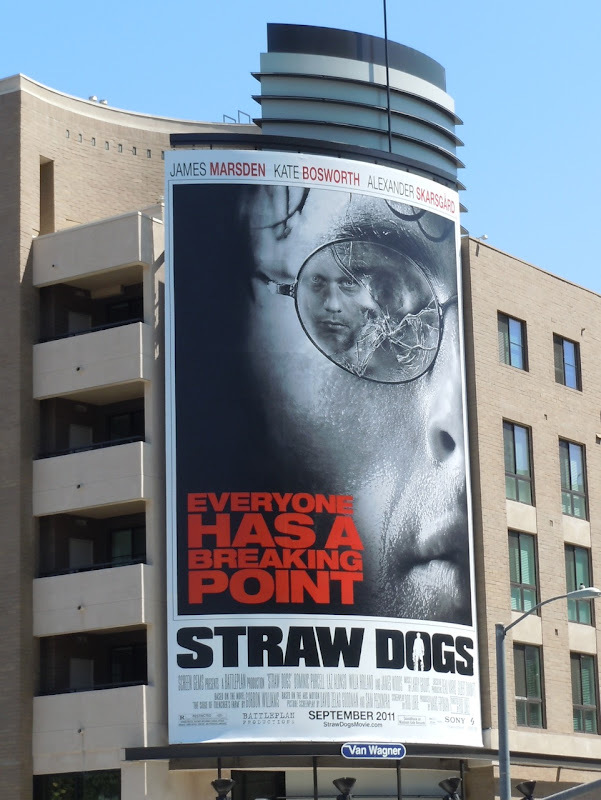 The mono photographs together with the red and white text really makes an impact for this remake of the 1971 psychological thriller that starred Dustin Hoffman. 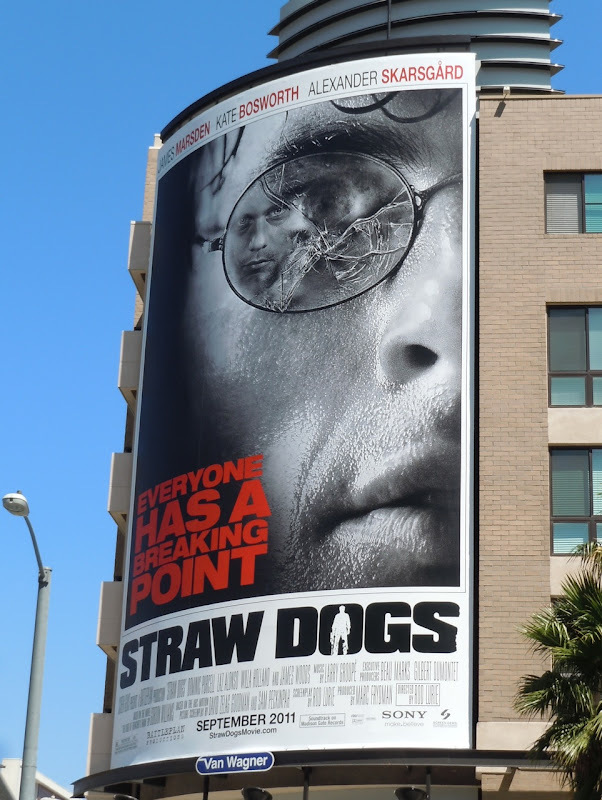 In fact the billboard featuring James Marsden with the broken spectacles is almost identical to the 70's version, although the face reflected in the lens adds a nice new twist to the design. 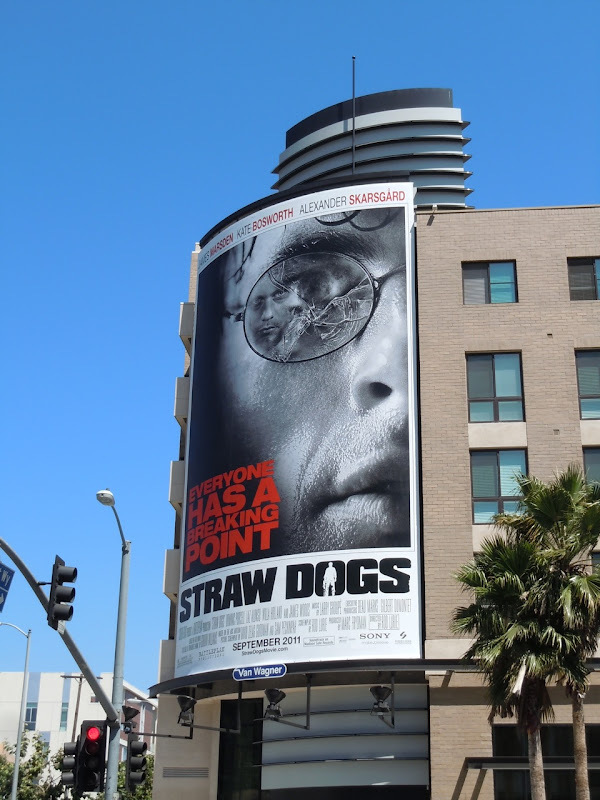 The larger billboard was snapped along Highland Avenue opposite the Renaissance Hollywood Hotel and the standard format of the same creative at Gardner and 3rd Street on August 21. 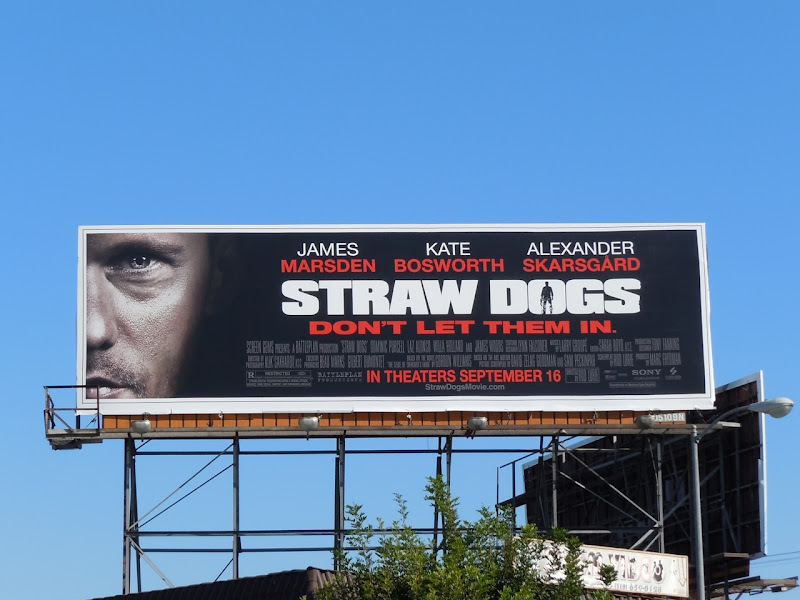 The standard format featuring Alexander Skarsgard was photographed along La Cienega Boulevard on August 28, 2011. 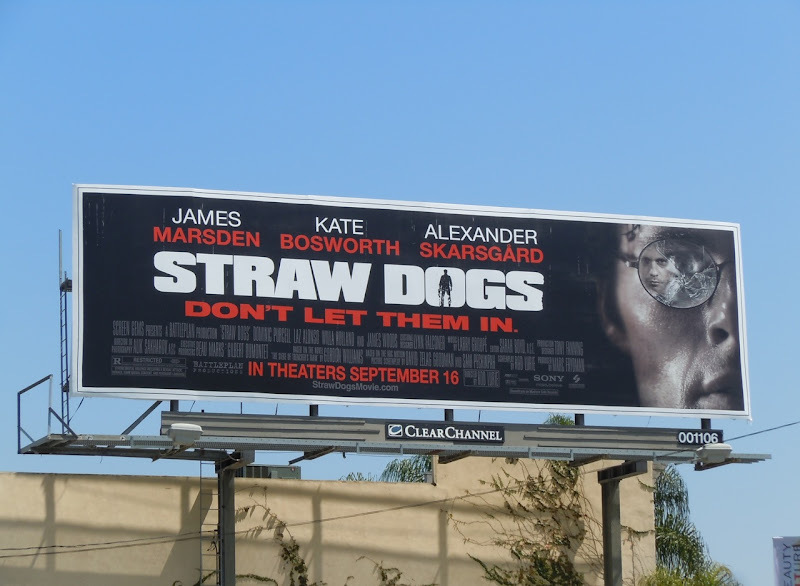 The tagline 'Don't let them in' may evoke the idea of supernatural monsters, but there's not a vampire in sight in this movie.